The End of Chaos is a riff-hungry album. No matter how much you get, Flotsam and Jetsam keep feeding you one tasty riff after another. The progressions are numerous, but every song thrives on hooky guitar parts with a classic familiarly. Whether it’s the thin-string tapping melodies made famous by Maiden, bruising ‘90s groove or the speed picking of early material, Michael Gilbert and Steve Conley present one memorable riff after another. The group has progressed in so many areas such as technical prowess and added a splash of modern extreme metal to their sound. 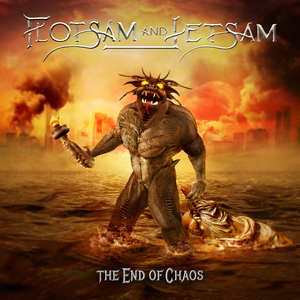 Few bands have the ability to balance melody and aggression the way Flotsam and Jetsam do. Sure, they’ve stepped into the modern day, but when it comes to songwriting, Flotsam and Jetsam are old school. They go back to the idea of writing with catchy chorus lines and hooks, the parts listeners will want to sing in their car or the shower. The End of Chaos is one big hook with no filler. When A Shadow Is Forced Into The Light marks two decades of melodic death/doom for Swallow the Sun. Melody is a major on factor on this recording. Clean vocal and guitar harmonies, keys and violins offer bliss only to fall into the abyss of maddening screams and growls. Much of the atmosphere creates a backdrop for majestic voices. Violins and rich vocals sway “The Crimson Crown.” The title track’s atmosphere is transcendent. There is even a sense of awe rather than fear in the blackened chorus. Listen a little further for the mood to morph “into the dark.” “Upon the waters” features one of the darker, heavier guitars. When A Shadow Is Forced Into The Light is great for what it is. It’s not a guitar-driven record, the guitar seems more aligned with the prevailing atmosphere. This should not detract from the overall effectiveness of the album’s melodies and atmosphere. 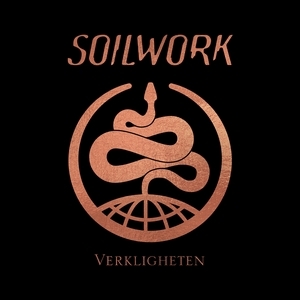 On their latest release Verkligheten (the Swedish word for reality) Soilwork had to replace longtime drummer Dirk Verbeuren, now a member of Megadeth. His large shoes are being filled by Bastian Thorsgaard. Verkligheten includes a couple of guest appearances, including Arch Enemy’s Alissa White-Gluz on “Stålfågel.” It’s one of the record’s most memorable songs, with Bjorn “Speed” Strid’s smooth melodies contrasted by White-Gluz’s powerful growls along with a killer guitar solo. 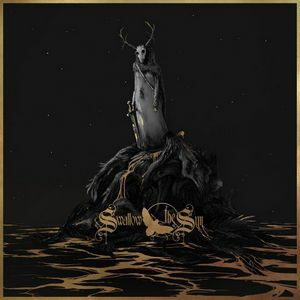 Though they don’t venture very far outside the musical box they’ve inhabited for the past few albums, Soilwork execute that style very well on Verkligheten. The musicianship is excellent throughout, and Strid does a great job on both the harsh vocals and melodic singing. Fans of the band will be pleased. 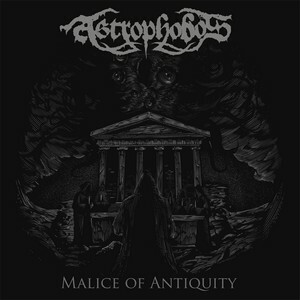 Five years after their full-length debut, the Swedish black metal band Astrophobos return with their sophomore effort Malice Of Antiquity. The trio incorporates ample melody alongside intense black metal. They generally keep things at a medium pace, speeding up from time to time. In addition to traditional Swedish black metal, Astrophobos incorporate acoustic parts on tracks like “The Summoning Call,” adding variety. Closing track “Imperator Noctis” also has acoustic moments along with guest vocals from Elisabetta Marchetti (Inno). There are old school influences, but the production is crisp and modern, and the musicianship is first-rate. 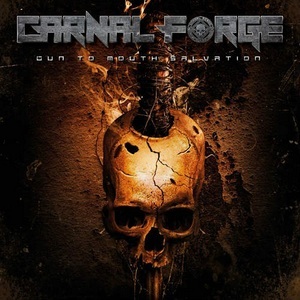 Carnal Forge bring the intensity to the table with their newest release and seventh full length, Gun to Mouth Salvation. Scathing riffs hit the pedal to the metal. Their music combines thrash with death metal, but has a melodic death metal focus as well. The merging of different genres plays to Carnal Forge’s advantage, though are relatively straightforward in nature. The rather narrow approach to metal music creates a number of memorable moments. Songs like “Aftermath” make their impact felt without relying on needless complexities. The music has a spark and really is full of energy and charisma. This is some of the most potent music I’ve heard in some time. That the band manages to keep up the intensity is impressive and speaks to their ability as songwriters. The songs are brilliantly constructed in their simplicity and bring a similar quality to the Carcass album Heartwork. Carnal Forge’s name derives from a song from that album, so the comparison is appropriate. This is vicious and consistently entertaining music. Two years after 2017’s fun acoustic album, The Coyote Who Spoke in Tongues, legendary desert rock frontman John Garcia is back with an electrified band, his Band of Gold, and together with drummer Greg Saenz, bassist Mike Pygmie, and guitarist Ehren Groban, he’s ready to reclaim his position atop the stoner rock throne. 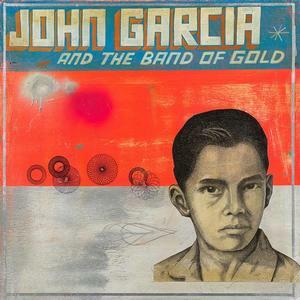 John Garcia and the Band of Gold pulls no punches, rocking us with slow- and mid-tempo burners throughout, some of which are fuzzed-up versions of the acoustic songs we heard on Coyote (“Kentucky II” = “Give Me 250ml” and “Cheyletiella” = “Kylie”). The band is on point throughout, and Garcia’s vocals are timeless. This is a record that’s sure to please fans of both Garcia and the stoner/desert genres in general, and an excellent way to kick off 2019.